In Portland, the Christmas of 1944 was bitterly cold and blanketed in white. It snowed for days and stayed close to freezing as the New Year approached. But Portlanders were distracted from the unusually cruel weather by news that Portland Mayor Earl Riley was forcing dozens of Roma out of the city—and, by God, it was about time, the newspapers crowed. Although many members of the local Kalderash community of Roma had been working in the Kaiser shipyard factories for the US war effort, elected officials, law enforcement, and the media fell over themselves to justify running the Roma out of town. 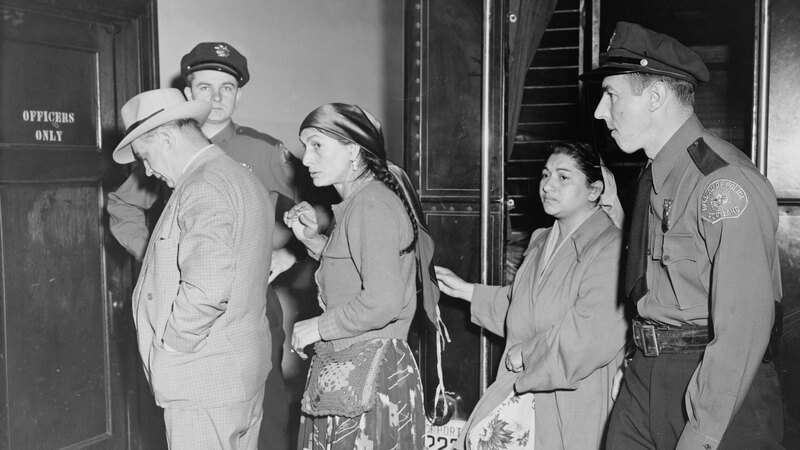 The Oregon Journal reported that, encouraged by police, the Roma—described as "the gaily dressed wanderers"—asked for assistance to return to Texas and New Mexico because Portland was "too cold" for them. Mayor Riley persuaded the US Office of Price Administration (OPA), the federal bureau in charge of rationing, to issue special gas rations to the Roma so they could make the drive south. The Oregonian considered this a "notable feat" by the mayor, not only because the OPA's rationing of items like gas, rubber, sugar, and butter was so strict, but also because Riley was "getting rid of at least half the gypsies [who] have been afflicting the city." "We are right proud of our mayor," the paper wrote. This was the same Mayor Riley who is purported to be one of the most corrupt mayors in Portland's history. Though his office accused the Roma of using fortune-telling as a front for prostitution, Riley allegedly kept a special safe in City Hall just for the bribes he collected from these same types of criminal operations. He was neither indicted nor punished despite criticism by the City Club of Portland; instead, he amassed a fortune in illegal enterprises over his lifetime. Meanwhile, the Roma families in Portland barely got by, sometimes using abandoned storefronts as homes. Carol Silverman—a professor of cultural anthropology and folklore at the University of Oregon who has studied, worked with, and advocated for Roma locally and around the world for almost forty years—says the group of Roma in Portland who came to work in the shipyards during the war were turned upon when the war was over. "Just like Rosie the Riveter, when women no longer were needed for welding and [were told they] should go back to the home," Silverman says, "it was perceived that this group of Roma was no longer needed in the city. Perceived as foreign, outsiders, dangerous, [they were] given these gas rations to drive out of state." Roma in America today are a community in flux. Families still identify their lineages through distinct ethnic communities sometimes called tribes, including the Sinti, Romanichal, and Kalderash, and these communities tend to blend in with the mainstream. In the Northwest, a look through local business listings will not reveal any obvious groups or organizations serving them except a handful of very tight-knit Christian churches. Most Kalderash would prefer to live under the radar, says Silverman, for a compelling historical reason: almost everywhere they've gone, Roma people have been oppressed by both government and society. “From the first time they came to America, there were rules regulating where Roma could live and where they could settle, and even the kind of work they could do." Originally from India, Roma communities are traditionally nomadic. From the fourteenth century until the Romanian emancipation of 1864, Roma were enslaved and traded by the local nobility in a large area of southern Romania including Walachia and Moldovia, with the support of church institutions. Roma moved to the Northwest in the largest numbers after 1864, with Kalderash families settling in the area between 1880 and 1920. Silverman says, "From the first time they came to America, there were rules regulating where Roma could live and where they could settle, and even the kind of work they could do. Many cities had anti-fortune-telling edicts, fortune-telling policies, on the books. Some cities actually still have them." Accused of being naturally inferior and prone to crime, Roma people in the Northwest have been targeted and harassed by local law enforcement and negatively depicted in the media. In 1906, the Oregonian wrote, "The police allege that the gypsies have such a penchant for stealing everything that is not nailed down that it is necessary always to keep an eye on them.'" And the Ashland Daily Tidings in 1916 wrote, "True to their inborn instincts, the horde of gypsies which passed through Ashland last Sunday failed to get out of the country without committing a serious depredation." No scholar has studied discrimination against the Roma as fully as Ian Hancock, a University of Texas at Austin professor of linguistics, English, and Asian studies, who laid out his findings in a 2007 research paper. He writes that despite five special US Congressional sessions addressing the increase in anti-Romani hate crimes in Europe and the correlative increase in Romani asylum seekers to the United States, "There nevertheless remain laws on the books in various states and counties that continue to operate against Gypsies. Many of these laws, a list of which fills thirty-four pages, were inherited from Europe and were intended to be used against the earlier Gypsy populations in the United States; they have since found new application against the more recently arrived, and more visible, Eastern European Roma escaping the post-Communist increase in racial violence in that region, many of whom are seeking political asylum here." But despite the hostility they have traditionally faced, Romani people have also historically been linchpins of their local economies. Silverman says Roma in Europe worked in metalcraft, which they applied in the United States to recopper and re-tin household items at the turn of the century. "Until the 1950s, before stainless steel, in order to have a working kitchen you had to have your pots and pans redone," Silverman says. "This was a real Romani skill." This skill in metalwork was perfect for the emerging car industry in 1920s and '30s America. "Roma did this kind of service for many, many Northwest Americans, and then eventually they got into the car sales business," Silverman says. The Roma's family-based car repair operations competed directly with corporate auto repair shops, offering an alternative to high-dollar services with the personal attention of a family business. So by World War II, not only was Mayor Riley's expulsion of Roma families cruel, but it also likely damaged the local economy. Most Americans have no idea that their own government was persecuting Roma people at the same time Roma in Europe were being murdered in the Holocaust. Most Americans have no idea that their own government was persecuting Roma people at the same time Roma in Europe were being murdered in the Holocaust. The Nazis killed an estimated 220,000 to 500,000 Roma men, women, and children—perhaps 25 percent of the European Roma population—between 1935 and 1945. Morgan Ahern, a Sinti/Romanichal Roma and founder of Seattle-based organization Lolo Diklo: Romani Against Racism, believes the number of Roma killed may be as high as 1.5 million. "Many [were killed] in concentration camps," she says, "but many more [were] just shot on the road." Silverman agrees that the effect of the Holocaust—known to some Roma as the Porraimos or "the devouring"—on the Roma has been "a footnote in most textbooks" and is only starting to be examined in Holocaust museums because of lobbying by Roma and their allies. Also overlooked in the history of Roma in the United States: generations of Roma children taken from their parents and warehoused in foster care systems because of lifestyle differences and, some families say, racism. Ahern was one of those children, removed from her family and put into foster care after her parents were deemed unfit to take care of her because they were Romani and nomadic. Even today many Romani individuals and families lack birth certificates and marriage certificates, making them vulnerable to government officials' whims. Silverman says, "Things like being fingerprinted, having a birth certificate, might mean that your children are going to be taken away. These historic memories are very, very, very much alive for Roma." After generations of abuse, a modest tide of Roma are beginning to speak out about their civil rights and demand fair treatment, including fair accommodations in trying to obtain legal documentation for family members who were born in the United States. Silverman, who is on the board of the nonprofit Voice of Roma, says she was involved in a case in Portland in which it was argued that oral testimony in a birth is equivalent to a birth certificate. "When people bear witness to a marriage," Silverman says, "it doesn't matter if there's no marriage certificate. It could be issued based on hindsight, on memory." For a community that has for generations avoided keeping their money in bank accounts and sending their children to public schools, social isolation is giving way to an emerging movement for empowerment. On the East Coast, Kalderash filmmaker George Eli produces films about his family and is currently building a media channel on Roma. And at the University of Texas, Hancock, who is Romanichal Roma, has spent decades building the Program of Romani Studies and the Romani Archives and Documentation Center. Ahern founded Lolo Diklo, which means "red scarf," in 1986, along with a fellow teacher at Seattle Central College. The group's purpose is to document discrimination and persecution of Romani. Ahern's father's Romanichal family have lived in the United States since the 1700s and were originally sent from Ireland by the British government as slaves. Her mother's family were Sinti who arrived in the United States in the late 1930s, fleeing the climate in Germany. Her maternal grandmother pretended to be Italian to get into the country. Over the years, Ahern has traveled throughout the West Coast, lecturing about Roma culture and civil rights. She works with Romani organizations across the United States, South America, Canada, Europe, and Spain. Silverman adds that over the past twenty years, many American Roma have become born-again Christians establishing their own churches or joining evangelical congregations. Some of these church leaders are emerging as community spokespeople—something very new for a community that has been persecuted for so long. "There are Roma who don't want to be left alone anymore because they are at a disadvantage when they are left alone," Silverman says. "They are being very brave to actually interact with the US court system." But despite these efforts, even today the discrimination that Roma face by revealing their heritage remains very real. "In their historical memory, interacting with American institutions has often resulted in a form of marginalization," Silverman says. For example, Silverman describes ethnic profiling by police bureaus through what were known as "bunco squads," police bureaus in the South that had "Gypsy units" to focus on "Gypsy crime." She says, "This is ethnic profiling of crime, assuming that all Roma commit a certain kind of crime, and certain kinds of crimes are only committed by Roma." The racial profiling of Roma people doesn't stop with law enforcement; it is a staple of local news. The language used in Pacific Northwest news coverage in the past ten years to describe alleged offenders has hardly changed from what was written in newspapers in the early 1900s. No documents or oral histories exist showing what happened to the Roma families forced out of Portland in 1944. In 2007, a "Night Cabbie" column in Willamette Week sparked outrage. "The Gypsies, apparently, are no joke," the unidentified cab driver/writer penned about the apparent ravings of a customer. "Despite what we may think, she explains to us that real Gypsies aren't nomadic livestock thieves, but in fact have been living in her neighborhood for decades. And they're very bad neighbors." "This is racist nonsense," a reader responded. "Inexcusable for a serious newspaper to print such offensive content about a real living breathing person in the neighborhood, on account of one of his neighbors. For all we know this bigoted fool is the bad neighbor." No documents or oral histories exist showing what happened to the Roma families forced out of Portland in 1944. Did they stay in Texas? Did they return to the Northwest? Did they find safety? Or were they forced on toward some other location? And, most important, how, in the Information Age, is it possible that the Roma experience has been all but forgotten by the mainstream of society? Silverman holds out hope that organizations such as Voice of Roma and Lolo Diklo can help Roma keep from getting caught in unfriendly bureaucratic systems as well as provide an opening for more outreach and understanding. The Portland Romani Festival, a one-day celebration featuring food, music, and information on human rights issues affecting Roma people, is tentatively scheduled for late spring 2016. The Festival Romani Facebook page is a fountain of music and cultural events, particularly music performances up and down the West Coast. "I think people should become knowledgeable about Romani history and discrimination in order to combat it," Silverman says. "It seems to me that while we're talking about ethnic and racial diversity, we can no longer eliminate a large group that has suffered prejudice for so many years and continues to suffer prejudice." Lisa Loving has reported on civil rights and diversity in Oregon for more than fifteen years. 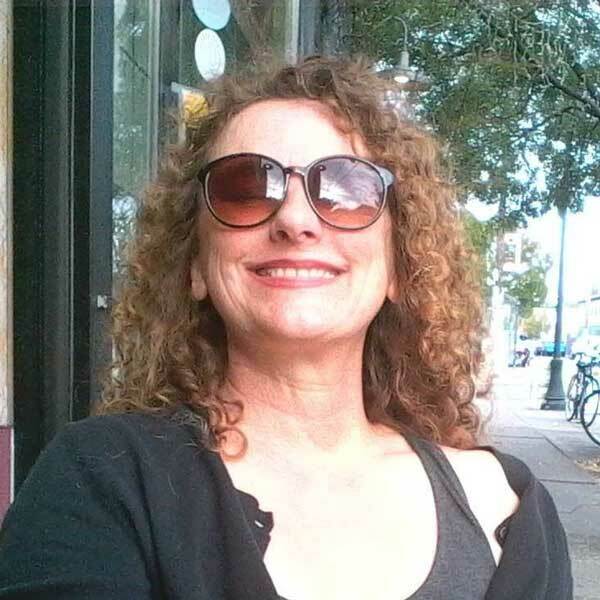 She is a news and public affairs producer at KBOO Community Radio 90.7 FM in Portland and the former news editor of the award-winning African American community newspaper, the Skanner. Her new book, How to Be a Citizen Journalist, will be released in 2017 by Microcosm Publishing. The only time I had heard about Portland's Roma was literally in passing on the Fair Housing Council bus tour. No other time besides one article I happened upon some time ago by professor Silverman about the history of the Roma in the Pacific Northwest. Thank you for this long overdue and excellent piece.